A man finds himself trapped in a time-loop, forced to repeat his death endlessly. One of the defining aspects of the cinematic artform is the medium’s inbuilt facility to manipulate time and space. 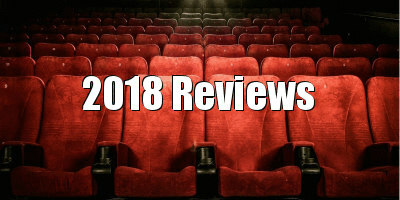 As a narrative form that is mainly linear, which we experience frame by frame at the passive behest of the film as the reel unspools across the projector up there in the booth - unlike, say, a book or comic, which we can pick up or put down, flick back and forth through at our own bidding - a film constructs its own chronology, and immerses us in an artificial space wherein 90 minutes or so can encompass a matter of days or even years: a duration that can buckle and twist with flashbacks and repetition, but one where plot information relies on sequential arrangement above all else. Films like Groundhog Day and the amazing Happy Death Day exploit this essential technical quality to manufacture unique narrative hay from their respective protagonist’s situation: which they are literally stuck within, sentenced to re-stalk the same limited chronological territory throughout the endurance of the running time. These films, which operate the conceit with skill and playfulness, are such joyful experiences because they both synchronise and tinker with the nature of the form itself, a medium which demands perpetual narrative motion, both from the audience expectant of plot progression, and the physical mechanics of film exhibition itself, which entail propulsion. A Möbius film strip; as the main character of Incarnation laments, "I’ve got nowhere else to go." The impressive Incarnation (Inkarnacija) from Serbian writer/director Filip Kovacevic is a welcome addition to the subgenre, adding insistent thriller elements to the cumulative dynamic. We open in a city centre, with central character Covek (Stojan Djordjevic) waking up confused upon a bench (a tableau that will be repeated through the next 80 minutes or so). Covek wanders about in a bit of daze; there are some kids playing, cars passing, but this is a typical city centre in the sunshine (one of the impressive technical aspects of this low-budget thriller is the direction and organisation of the extras, whose arrangement is repeated with splendid nonchalance over and again), at least until the unforgiving slam of a gun being fired and the accompanying screams break the everyday beats of the scene. Enter a bunch of mooks who seem to have escaped from the opening sequence of The Dark Knight: criminals in suits and bone-white bleached commedia dell'arte masks, who give chase to our hero and eventually shoot him to death: rinse, repeat. Incarnation’s plot dictated loops and limits are countered by Kovacevic’s transcendent use of space, wherein his camera floats and darts about the city with dizzying virtuosity as it follows Covek’s various attempts at eluding his pursuers, consummating when, half way through, Covek manages to escape through hidden tunnels (the sort of video game trope which Incarnation shares with its predecessor Edge of Tomorrow) to a landscape where the glass and steel maze of the city disappears to wide open, gothic fields; a psychologically charged space that ushers in Incarnation’s existential third act. The issue with Incarnation is that, unlike, say Happy Death Day with its delightfully flawed central character, we are not given much cause to care about your boy Covek, at least not much further than an instinctive sympathy for any underdog being chased by men with masks and guns, meaning that at times the two-steps-forward-one-step-back narrative is at times robbed of consequence. However, such trivialities are rendered perhaps insignificant when we consider the provenance of Incarnation, a film made in Serbia, a country itself fractured by forces beyond its people, a nation whose existence has been subject to a perpetual cycle of violence. Seen in this way, Incarnation is an important film which uses the specifications of genre cinema, and the nature of the form, to reconfigure real life bloodshed, and to comment upon the dishevelled narrative of Southeast Europe itself. Kovacevic’s film is not only exciting and well-constructed; through its cut up, anonymous violence it also suggests something profound about our own shuffling landscape of terror. 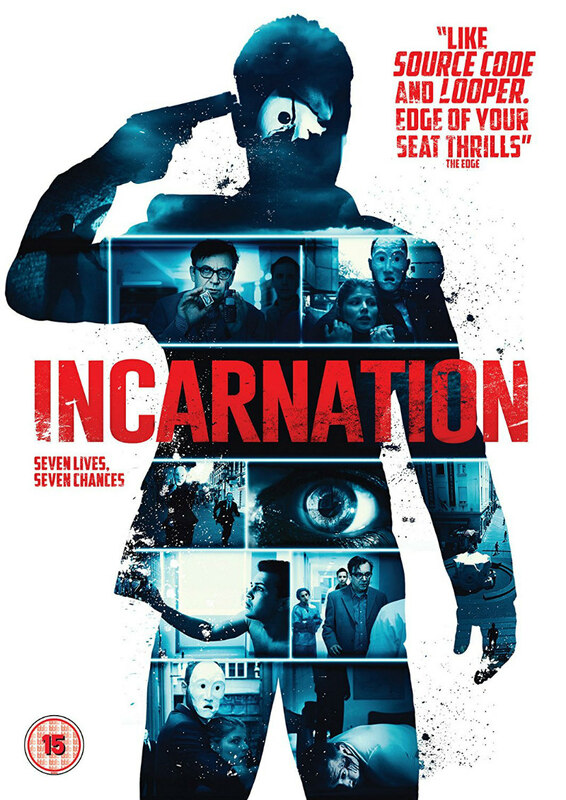 Incarnation is on DVD now.